With great sadness in our hearts, we want to let our rescue friends know that Cathy recently passed away from Cancer. Cathy has been a mentor, teacher, and an inspiration to all of us at NCR. Many of you know Cathy, or know of her, but we would like to share with you what Cathy has meant to us here at NCR and her great passion for the Collie breed. We will start by telling you some things about her life and how NorCal Collie Rescue came to be and then share a few of her recent Collie rescue related accomplishments. After High School, Cathy earned her BS degree in Fisheries and Wildlife Biology from Iowa State University. She then attended Princeton University where she earned a PhD in Population Biology. She immediately was offered a faculty position as Assistant Professor in Zoology at UC Davis. She had a very successful career at Davis and stayed for 33 years, until retiring just recently. She was a Major Professor to a dozen graduate students, taught thousands of undergraduate and graduate students, and published her research in very prestigious journals. Her research projects included studying tropical frogs in Peru and Panama, and studying ducks in the Northwest Territories. In 1978 her research focus turned to Mono Lake and stayed there for the rest of her career. At Mono Lake she studied Bee Flies and their food, Rabbit Brush. Along with all of these projects, she also explored one of her passions -- Parrots. She was currently finishing up her book about these fascinating birds, when she became very ill.
Cathy, at some point in the 90s, decided she would like to have a dog. Naturally, she set out to obtain her dog by researching the best dog breed for her mom and herself. And she decided that Collies were the breed for them. Shortly thereafter, she rescued two Smooth Collies, Kallie and Ladybug, and thus began her journey into dog training, and Collie rescue. 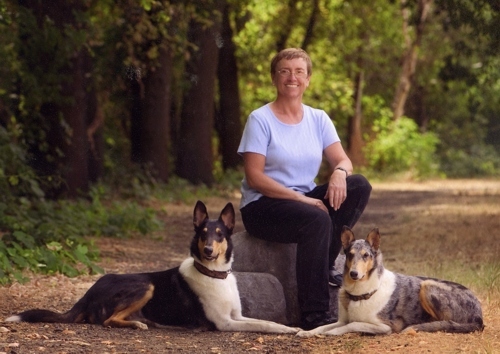 Cathy became involved with a high profile Collie mill case, called “The Montana Collie Rescue,” because at the time, she was the Webmaster for the AWCA (American Working Collie Association), and the AWCA had taken an active role in fundraising and volunteer support for this case. 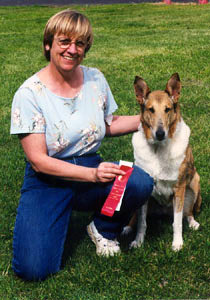 Once the case was won, after a pro-longed legal battle ten months later, Cathy agreed to adopt “Sammy,” later known as Pip, one of the two most psychologically damaged of the 181 Collies rescued in 2002. Cathy also helped the other adopters of the Montana Collies all over the country, in conjunction with Collie Vets and Collie trainers, with training and behavior advice. 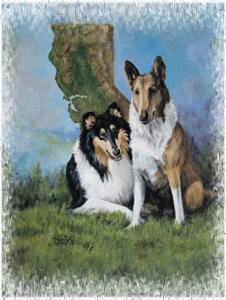 At the time of the Montana rescue, there was no formal Collie rescue organization in Northern California. Seeing this need, Cathy, along with three other collie enthusiasts, started breaking ground for a new rescue group called CCRC (California Collie Rescue Coalition). Cathy became the President of that group. She secured the non-profit status for the organization, developed the policies and procedures, and helped create all of the legal documents and forms that were used. She built the web site that we used to find homes for our rescued collies and to educate the public. She initiated our newsletter and wrote many articles for it. She also took on many foster dogs in her own home and developed a volunteer base in her area to foster additional dogs, transport dogs and do home visits. She built relationships with shelters, other rescue organizations and with our Collie breeders. When CCRC dissolved and evolved into NCR, Cathy, as Secretary/Treasurer, set up the Treasury and prepared the enormous amount of paperwork necessary for NCR to apply for Federal status as a 501c3 organization. Cathy also wrote all the training and medical handouts we now provide to new adopters in order to ensure the smooth integration of rescue Collies into adopters’ homes. She set up the basis for our fundraising programs, fee structures, and even our NCR “store” with Café Press. She wrote the minutes of the Board meetings and filed our tax returns, along with making sure we were in legal compliance as a corporation. We had a board and group of core volunteers, but Cathy was our tireless “rock” who seemed to know how to do just about everything and do it better than just about anyone else. NCR is thriving today and is a well-respected rescue, largely because of Cathy’s efforts in building a strong and professional foundation. If that wasn’t enough, right around the same time NCR was founded, Cathy took on and spearheaded an 81 Collie hoarding case in Yolo County. She worked side by side with County law enforcement until she was able to secure the release and adoption of all 81 dogs. She worked endless hours with the DA, tediously documenting the evidence of abuse and neglect from videos on the property and from examination of the dogs themselves. In the meantime, she took responsibility for the dogs’ shelter, food, medical care and training. This was an enormous endeavor of which she was most proud, but unfortunately it took two years out of her precious, short life. She had to take a leave of absence from her job at UC Davis in order to manage this rescue and put her publishing and her own dogs’ training on hold. She and a another dog lover friend and behaviorist eventually founded The Road Home K9 Rescue in order to better handle the fundraising, care, and adoption of the Yolo Case Collies. Even after the dogs were all adopted, she took responsibility for their continuing support and care, through The Road Home. She brought the unadoptable, most damaged dogs into her own home to live out their lives, knowing what it was like to be loved. After adopting her first dog, Cathy made it a point to learn everything she could about dog training. She immersed herself in it and eventually became a Dog Trainer and Behaviorist in addition to training her own dogs and competing in agility and obedience with her dogs Kallie, Megan, Babe, Rocky, and Star. She was an enthusiastic and unwavering advocate for Positive Reinforcement training, and had created a website dedicated to teaching others the importance of that concept. 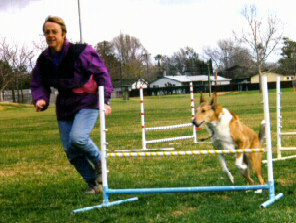 She published many articles on dog training in general and on her experiences training her own dogs. For a short time, she gave live, R+ Agility Foundation classes, called DAPS (Dog Agility Pre-School) to the lucky few who attended. Cathy also co-hosted the “Percol” or Performance Collie Yahoo Groups forum for Collie owners who wanted to share and discuss their experiences within the various performance venues. Cathy was a “natural” at teaching. She had a true gift. In everything she did, there was usually a lesson for us to learn and in the way Cathy would explain something, you’d remember it. Even in the fight of her life against cancer, she allowed us to share that journey with her to the very end, so that we could learn from that too. She had so much courage, and never let us lose hope that she would survive -- telling us that hope and staying positive was half the battle. She was and always will be an inspiration to us in so many ways. It’s very hard for us to accept that Cathy was taken from her adoring family, friends, and pets so soon. But we at NCR know that she was met on the other side by the many grateful Collies touched by her in this lifetime, escorting her “home” as she did for all of them on earth. so we can notify Cathy's family of your gift in her name. Thank You.